I first met Lisa-Marie Mazzucco - during the Vancouver 2010 Olympics. 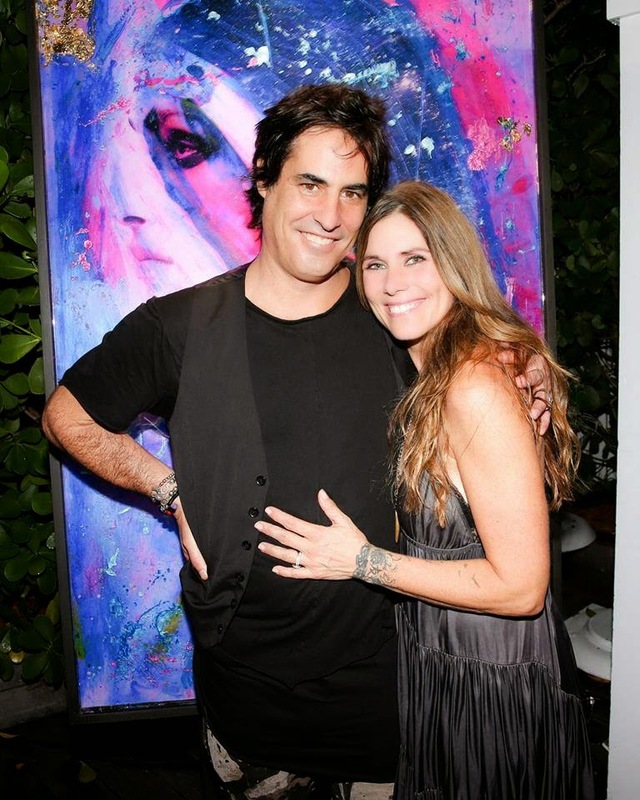 She and her husband, photographer Raphael Mazzucco, were in town promoting a collaboration they did for Lancome Canada's Olympic Gold Fascination campaign. 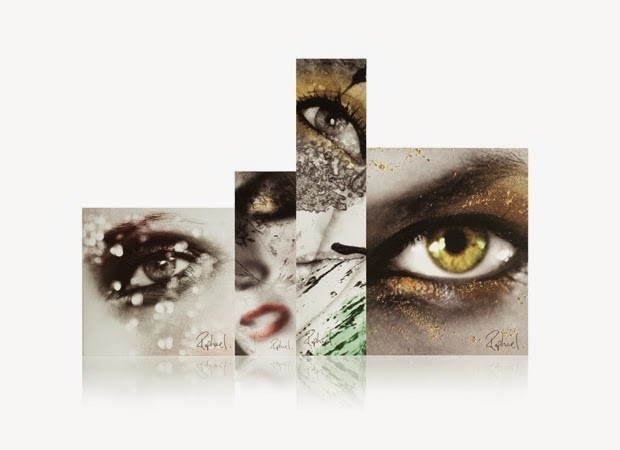 The unique images they produced were used to create collectible boxes for Lancome's products sold to international visitors during the competition. Event producer Vernard Goud of LuvNGrace invited me to a meet and greet with the couple held downtown in one of the big department stores. I took my turn sitting on the couch to get my picture taken and have a brief chat, then handed them a copy of the first 2-year print collectible edition of my magazine and said, "If you're ever back in town, I'd love to interview you." It was so early in my career, I felt I was very small potatoes and was sure their schedule was packed tight with bigger named media sources. To my surprise they were ready and willing to meet after this event for coffee. Bless the rep from Lancome's heart - which I'm sure skipped a few beats. Somehow it all came together. Sitting at an outside table next to the Opus Hotel where they were staying, I was given 30 minutes by the Lancome Rep - which turned into almost an hour. Still, in the beginning I wondered if I could finish in that small time frame. After all, I was interviewing TWO people, not one, and was honestly not that experienced yet. Raphael and Lisa-Marie could not have been warmer, and that made me relax immediately. Raphael went first telling his story with Lisa-Marie adding in details. Then Lisa-Marie shared hers with Raphael doing the same. I loved the synchronicity. They blended their stories perfectly, made time for each other to have their moment in the sun, and chimed in to add praise. The first article was on the Olympic Fascination campaign and their joint journey for my local magazine, but I was privileged to write a piece on Lisa-Marie a year or so later for Raine Magazine. She had come back to Vancouver for an event and was fortunately able to make time in her busy schedule for a one-on-one second interview. She is a truly fabulous story teller with a resume that includes make-up, hair, styling, photography and retouching. I was on the edge of my seat throughout. From that moment on, I never doubted that her story would be a part of Life Outside the Box. For her chapter excerpt I chose one of my favourite moments from her early years shooting classical musicians. Enjoy! "One of the things Lisa-Marie learned early on was not to touch the instruments. It was a lesson she would never forget. 'Soovin Kim was my first violinist. I didn't know much about classical instruments. I played the piano and that’s pretty sturdy. We were shooting on the beach and back then I didn’t work with an assistant, so was on my own. I had my camera, my bag, my hair and make-up stuff around my waist—I’m doing everything. I needed him to get up on this big rock to do this silhouette photo. I said, ‘Here, I’ll hold your violin while you get up on the rock.’ He gently gave it to me and I didn't think twice. I stuck it between my knees so I could hold my camera. He went pure white. I swear to God right there on the spot. The earth stood still for a moment. His violin was worth five million dollars and I had it just sitting between my knees.'"